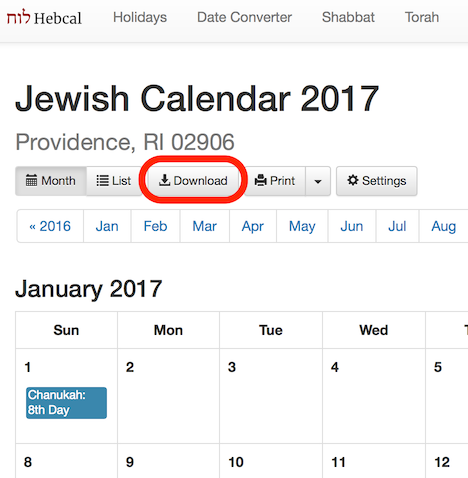 Follow these instructions to add a Hebcal Jewish holiday calendar feed to Blackbaud for your school. Open your Blackbaud management website. In the Add New Category modal, a user can toggle the Use iCal URL in order to create an Event Category based on an iCal Feed. Schools will need to type or paste the iCal URL into the text field. 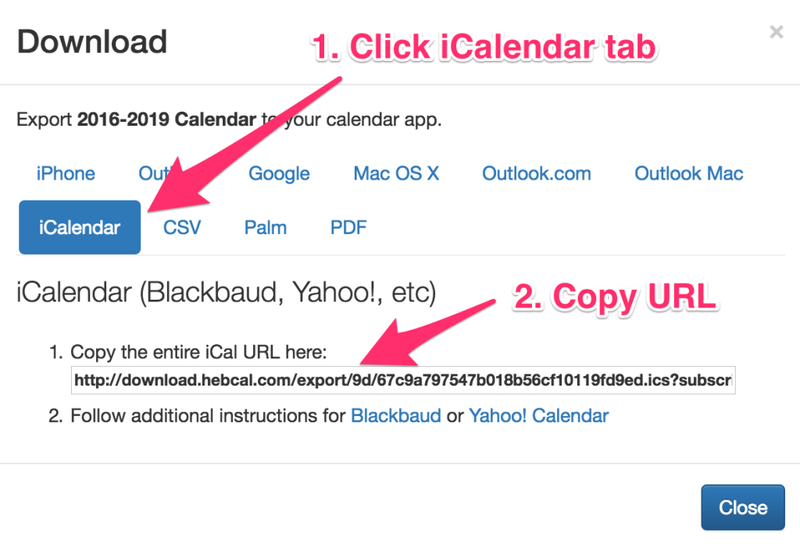 For more info, see Managing the Calendar from Blackbaud Support.